A book which provides ideas and lesson plans to help classes explore the Olympic & Paralympic values of respect, excellence, friendship, courage, determination, inspiration and equality. The Sports Academy Holiday Club! A five day holiday club programme which links the biblical story of David, a small town boy who made it big, with a sports theme. Covering five essential ingredients of sport: looking after our bodies, looking after our self-esteem, looking after our well-being, looking after our sense of team spirit, and looking after our minds. On Your Marks is a five-day holiday club, for 5 to 11s, especially suitable for children who are not yet part of a church community. It has a ‘Global Games’ sports theme and is based on significant events from the life of Jesus found in Mark’s Gospel. On Your Marks is supported by a DVD with five storytelling episodes. Many young people love sport and it’s a great way to open up the gospel with young people from outside a church community. Decathlon helps you do just that! Using games derived from ten different sports, Decathlon takes young people through some of the essentials of the Christian faith, such as who God is, God’s grace and the freedom offered by Jesus. Each session of Decathlon provides material for 10 sessions to use in an assembly, a youth group setting or a longer holiday-time programme. There are more children’s & youth work resources available from http://www.morethangold.org.uk/, including a children’s comic. Produced in partnership with the relief and development charity Tearfund, this resource is full of creative ideas for exploring a biblical perspective on topics such as materialism, workers’ rights, global health challenges and climate change. 15 outlines which you can use and adapt for all age services throughout the year, including major Christian festivals. 15 service outlines closely tied in to the themes of Scripture Union’s ‘Light’ curriculum and including Nativity, Mothering Sunday, and Harvest. It is also full of ideas for all-age activities to use before children move into junior church. This does just what it says … themed games for all ages & abilities. A new resource for groups of children written in collaboration between the Methodist Church, the United Reformed Church and the Church of North India. The pack covers three themes: Individual peace, Peace in our communities, and Peace in our world. It is about taking some small, and some not so small, steps towards peace. It is full of practical ideas and resources for thinking about peace and can be used as part of your existing children’s work programme, junior church, as a holiday club theme, a one off event, a church family day or an interfaith group. One of the simple but effective ideas is that of creating a ‘peace box’, which can be passed around a church and around the local community, inviting each person or group to put into the box their ideas for promoting peace. All of these ideas could be gathered together and then shared with everybody involved, challenging each individual and group to do something to build peace. This material is a compilation of the ideas in previous publications ‘Here’s One I made Earlier’ and ‘Here’s another one I made earlier’. But it’s all in one ring-bound book, which makes it much easier for photocopying. I agree that it’s very helpful for those of us for whom art & craft is a struggle, but the index also makes it helpful for those who just don’t have time to be creative this week ! If you haven’t got the original books, this is one for every junior church leader ! This is a CD-Rom containing all the material from the book ‘How to cheat at visual aids’. Just pop it into your CD-Rom drive and it starts itself. A simple cataloguing and keyword search system allows you to find a suitable picture from over 800 black and white line drawings to illustrate many bible stories. The pictures are grouped in sections related to different characters or stories from the Bible; some of them are a series of pictures which outline the story. Other very useful generic categories include people in ‘action poses’ or ‘facial expressions’. The pictures are all of a certain style and if over-used, children may become a bit bored with them. But used well and sparingly, they are a useful resource. You can copy and paste these picture into your own documents. ROOTS publishes two ecumenical, lectionary-based subscription magazines to help you enrich worship and learning: Adult & All Age and Children & Young People. Subscribers also enjoy unlimited access to www.rootsontheweb.com, with ten years worth of supporting resources. The ROOTS Year Planner gives you an overview of the ROOTS themes and the Revised Common Lectionary readings for every Sunday of the Christian year. The Year Planner is available to download and print in A3 and A4.You can also view or download sample material. Simply go towww.rootsontheweb.com and click on the relevant link. The CYDO in Synod of Scotland writes: ‘Just in case you’ve missed the fabulous all age worship and learning resource that is Spill The Beans I thought I’d draw your attention to it… It is a lectionary based resource for Sunday Schools / Junior Churches / All Age worship with a Scottish flavour!’ You can get a free sample on the website or just browse around for ideas. If you want to purchase it costs £12 to download an electronic version or £20 for a paper copy. Another book for mixed age church children’s groups, containing 12 stand-alone sessions which explore charcteristics of God: love, faithfulness, patience, power, goodness, self-control, peace, trustworthiness, kindness, gentleness and joy. Each session suggests a variety of ways to tell the Bible story, and gives a variety of related activities ‘to engage head, heart and hands’. It also includes some original songs, rhymes & chants as well as other non-musical ways of worship. This resource is published by Barnabas for Children (part of Bible Reading Fellowship) and costs £8.99. This is a 12-week programme designed for 7-11 year olds. Author Steve Hutchinson put it together from his experience of going into schools and holding circle time lessons where children asked him all the questions they wanted to. Each session takes a genuine question that children ask (e.g. What does God look like? Do good people go to heaven and bad people go to hell? How do you know God hears you when you pray? ) and seeks to answer it through exploring Bible passages and the experiences of group leaders. There are plenty of activities, ideas, and photocopiable resources for leaders to use (including the ‘My Why Book’, a notebook for the children to use through the course) . It also contains lost of good advice for leaders. Ideal for use with groups of children who have not grown up in a church. 8 sessions for a children’s club for those aged 5-11 years. Lots of ideas based around the Old Testament character David (shepherd boy, warrior, songwriter and king). This programme is especially designed to help unchurched children meet with God in a more reflective way. Best used in conjunction with the Target Challenge DVD. 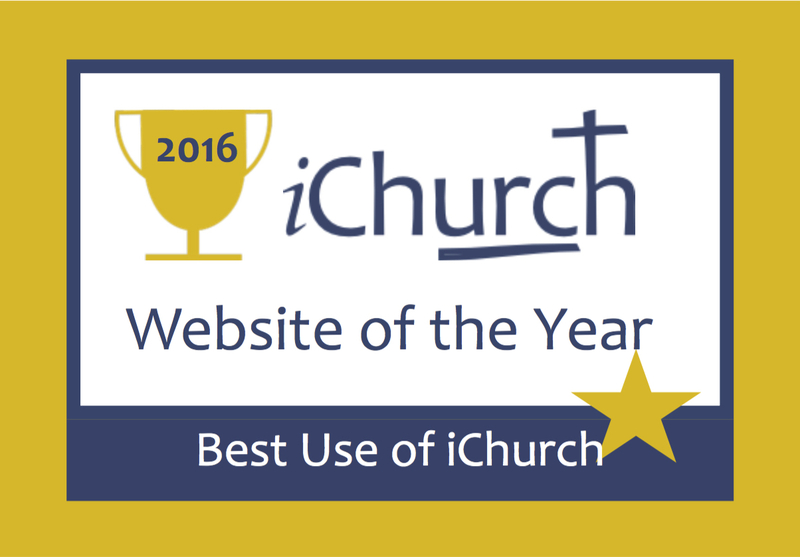 If you have ever wondered how your church can make positive links with local schools? As the need for church and community to interface grows, projects that facilitate such interaction will be welcomed. A new book from Barnabas provides an ideal opportunity for churches to present a Christmas experience for children in their local schools. The Christmas Journey is a tried and tested unpacking of the events of the first Christmas. Through a range of interactive storytelling suggestions and imaginative activities children explore the story of the first Christmas. A simple transformation of your church can create a delightful walk-through presentation that enables children in school year 2 to appreciate the wonder and significance of the familiar events. The authors have run such presentations for several years in their own church and so the book contains all the practical suggestions and tips needed to host this. Story scripts and suggestions for events to accompany the presentation are also provided. The website www.christmasjourney.org.ukwill provide first-hand experience of the Frodsham Christmas Journey. This resource aims to help pre-school children discover God through art and craft. More than 100 activities included – from mobiles to musical instruments, papier mache to puppets, and collage to cooking. What the Bible has to say about …. A helpful feature are the ‘Think about’ questions and ‘In reality’ stories which are mixed in and often spark interesting ideas. Recommended reading for busy youth & children’s leaders. I read this over lunch—an interesting, challenging and practical introduction to this topic from people whose experience is rooted in working with children in non-book cultures. I read this over coffee—a great little introduction for people who are new to story-telling with the Bible, but even reminded me of one or two little gems which had got lost in the mists of time. I read this at tea-time —written by a lady who is an experienced schools worker and former deputy-head, together with a man with a mission to ensure that Children Matter, this book is full of good principles and advice for any church wanting to work positively with their local schools. Plenty of little ‘In reality’ stories enhance this one even more. A monthly publication to support children’s workers in churches, including resources, feature articles, news & information. This DVD resource is ideal for use with children. There is also a supporting website for children, as well as a holiday club resource and other printed resources on the theme. A book full of 120 Instant Bible games for Sunday schools and midweek groups for use with 4-11 year olds, with little or no preparation needed. Designed to help fill those awkward gaps in children’s groups /clubs / camps etc. For each bible story there is a game aimed at 4-7’s and a game aimed at 7-11’s. This resource is published by Barnabas for Children (part of Bible Reading Fellowship) and costs £8.99. Scripture Union now produce a mini version of their Bible timeline, outlining where well known bible stories might have happened in history. It folds up into a pocket-sized resource which might appeal to junior aged children and might be useful to junior church leaders and Christian parents. A pack of 10 costs £4.99. Another holiday club offering from Scripture Union follows a tried and tested pattern to explore the Bible through a theatrical theme. An accompanying DVD is available for £19-99. A programme designed for children aged 5-11. It contains material which can be used as a 5 day holiday club programme or 12 weekly club sessions. This includes original songs, opening talks, themed illustrations & challenges, a serial drama & puppet sketches, craft, game & quiz ideas, bible story narrations, prayers and lots of practical stuff too. The programme uses the theme to explore 6 C’s : choice, courage, call, change, commitment, challenge, and cost. In my opinion, this is the best whole bible story book available for children under 7 years of age. It covers a wide range of stories from Old and New Testaments. The pictures are bright, bold and engaging. The story telling is easy to read and easy for children to follow, without unnecessary embellishments or morals tagged onto the end. I’m not surprised that it’s sold over 5 million copies ! This is designed for adults to use with very young children. It’s hardback and is beautifully presented with wonderful colour photos of puppet-like characters to illustrate the stories. The style is easy to follow and understand. What I like most of all is that placed among the bible stories are psalms rewritten for young children. It also includes a little material drawn from the prophets of the old testament and the new testament letters. As well as the usual contents page, there is a helpful Scripture index at the back. All in all, this is a fabulous resource. Small full colour board book telling these timeless stories in the style of the excellent ’Big Bible Storybook’. Ideal gifts for toddlers and young children. A collection of bible stories retold for young children. It’s advertised as being suitable for independent readers aged 4 to 6 to read by themselves. However, I think most children of that age would need a lot of help to read this book. The stories are faithfully and simply retold without too much embellishment. The pictures are bright and bold. The people are almost always smiling, though thankfully not where it is obvious that the characters would have been sad or upset. These two books are written and illustrated for young children, with lots of very short retellings of bible stories, in answer to a question. The illustrations often add detail to the stories, which occasionally are too concise to really work. However, they may be very helpful for children with very short attention spans! Two more books written to read with young children. They explore questions of birth and death respectively, seeking to show how Christian understanding of God sheds light on the questions which children ask. Bible reading guide designed for 8-11 year olds, with something to read, think about, pray and do for every day of the year. 10 bible based sessions for youth groups aged 14-18 years. Topics in this volume cover the big picture (creation, fall, exodus, exile, incarnation and resurrection) and spirituality (bible, prayer, worship and church). 10 more bible based sessions for youth groups aged 14-18 years. This time exploring what it means to be part of the kingdom of God, a central theme in the teaching of Jesus Christ. Substance is a modular resource for helping young people in the church aged 14-18 to discover what it means to follow Jesus. This resource book focuses learning from the book of Romans and offers an introduction to the old testament prophets, with 10 sessions on the theme ‘Truth & Life’. Youth Emmaus was a course to introduce young people to the Christian faith, exploring Christian beliefs, how Christians grow, and living a Christian life. Youth Emmaus 2 is a follow-up course designed to help 11-16 year olds integrate their faith with their whole life. 7 sessions focus on the big issues dealt with by Jesus in the ‘Sermon on the Mount’. Another 7 Holy Space sessions introduce young people to different ways of worshipping God. Its Anglican flavour is evident in places, but can easily be adapted. The ideas are interactive, challenging and well presented. I highly recommend Youth Emmaus 2. A monthly publication to support youth workers in churches, including resources, feature articles, news & information. This is a novel written for early teens. It explores the life of a minister’s daughter leading a double life and her friends. It touches on issues including drinking, lying, and of course love ! Easy to read, short chapters, and comes recommended by Michelle Chappell who reviewed it for me.